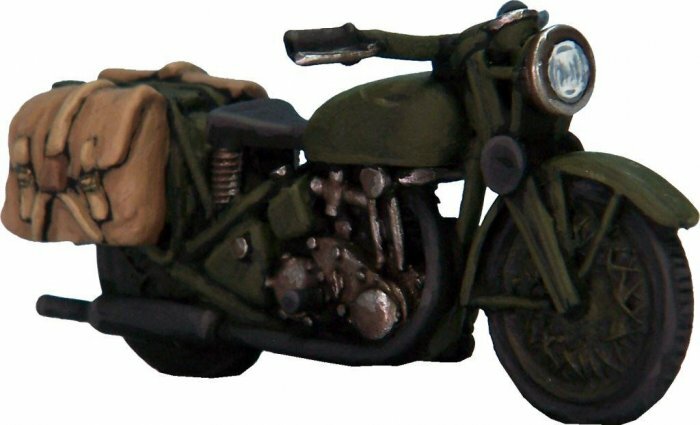 A 1/56th scale resin and metal model of a Triumph 3HW British Motorcycle, as used in WW2. We will produce a rider for the bike in the near future, but for now we are just making the bike available. Commandos - North Africa & the Med.